As we urbanize, the foulness of air elevates along. The rate at which particulates are getting added up in the air is much more than the rate people can adapt to. This calls for a system that can provide with a finer and quality air. HEPA filter just does the same for you and is a trending system nowadays. Not just the pollutants, HEPA also sieves out the allergens, dust, mites, spores, pet dander, etc. The High-Efficiency Particulate Air finds numerous operations not only in the habitat that we live in but also in health care centers, research laboratories, etc. So, let us know the science behind HEPA filters and how do they exactly work to keep us safe and healthy. Originally developed by the nuclear industry, HEPA dealt with the harmful radioactive wastes by absorbing them on the surface. HEPA acts just like a sieve which can filter as much as around 99.97 percent of dust particles which are as small as 0.2 microns in diameter. This size of the filter becomes extremely useful in screening the bacterial and fungal spores. This is why HEPA purifiers rank as the best air purifier for smokers or any other pollutant that can be found in the air with a microscopic size. 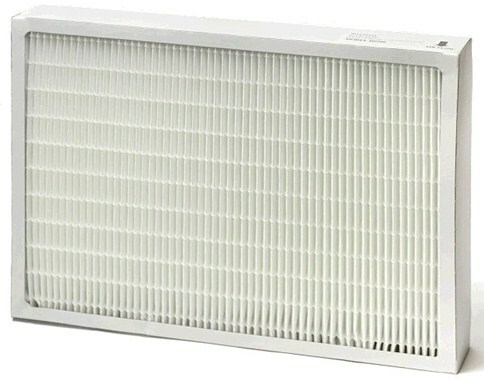 HEPA filters have a dense mat of strainers made up of layers of arbitrarily arranged microfibers which do not retain the particulates on the surface but permeates them to be trapped inside them and let the air pass through the other side. The microfibers can be composed of extremely thin fiberglass made by molten glass or plastic polymers, activated carbon particles, etc. There are mainly four procedures that HEPA filters employ to trap the particulates. The particles come in touch with the fibers and adhere. This process is known as the interception. There is another called impaction, where the bigger particles are forcefully embedded into fibers as a result of the inability to move through contoured fiber lines. A differential concentration gradient is set up. So, the particles can diffuse through the spaces and get trapped between the fibers. This works best for particles of size about 0.1 microns. The particles of opposite charges may get attracted and stuck to the fibers. This is better known as electrostatic adherence; works best for particle size around 0.3—0.4 microns. Usually, HEPA does not filter the odor as they cannot entrap the chemicals. Thus, an additional material was thought to embed into the dense matrix of the filter. This new matrix material was activated charcoal or carbon. The activated carbon has a property to catch hold of the chemicals which not only are responsible for odor, but also the extremely fine smoke particles, volatile organic compounds as aerosols, paints, pesticides, etc., fumes, pet odor, tobacco smoke, etc. entering through it. These are amazing surface adsorbents and catch hold of numerous tiny substances, which come in contact to their exterior surface or even pass nearby. Thus, HEPA filters become the best air purifiers for the smoke. HEPA filters should be cleaned or changed once in about two years to ensure their proper functioning. To know more about this, check in to ReviewsAvenue.com.